The Ami Ami table, like the chair of the same name, takes its inspiration from the play of warp and weft, a typical stylistic icon of Japanese culture. 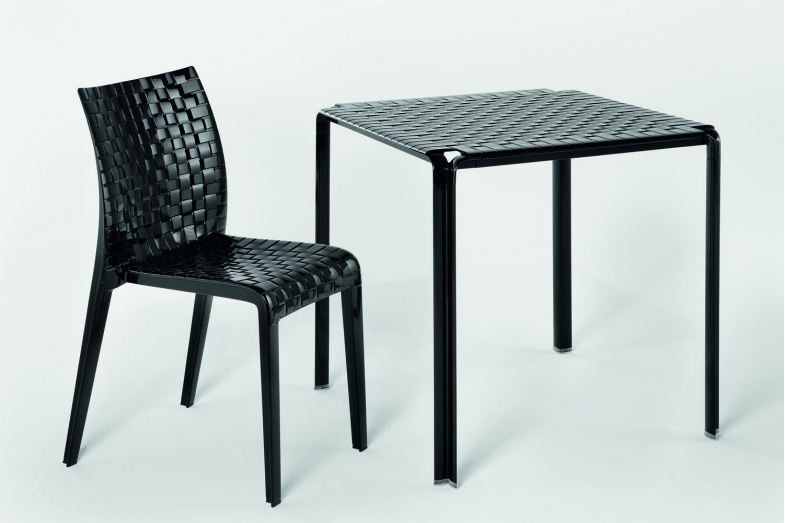 The table is versatile, practical, perfect for indoors and out, and for the home and the office. 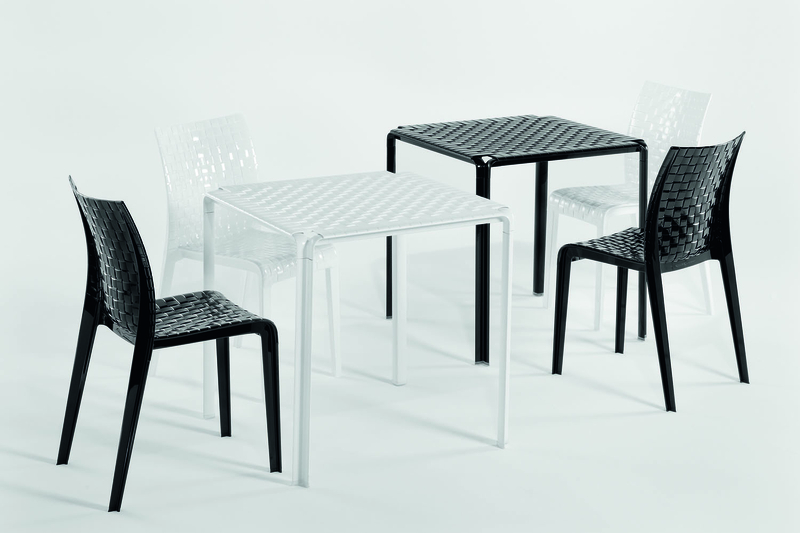 The weaving, accurate in the tiniest detail, covers the entire surface of the square polycarbonate top while the four slim painted aluminium legs lend an air of elegance and harmony to the table.